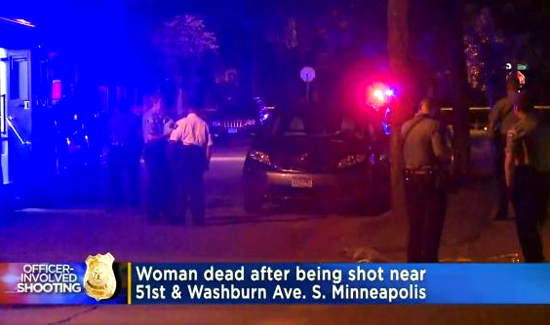 An Australian woman was shot and killed by a police officer in Minneapolis on Saturday night in an incident the city’s mayor has called tragic and disturbing. Australian media reported on Sunday that 40-year-old Justine Ruszczyk, also known as Justine Damond, was the woman killed in the officer-involved shooting over the weekend. U.S. and Australian authorities have not publicly identified the victim and few details have been provided about the incident. The Hennepin County Medical Examiner told HuffPost the agency could confirm the death of a Justine Ruszczyk, but could not release the cause of her death. Australia’s Department of Foreign Affairs and Trade confirmed that a citizen of the country had been killed, but declined to identify her until her family had been notified, according to a statement obtained by HuffPost Australia. The agency said it would be providing consular assistance to her family. Zach Damond, who identified himself as the woman’s future stepson, said in a video posted to Facebook that she was killed after calling 911 to report a sound in the alley behind her home. Damond’s father, Don, was engaged to be married to the victim, according to the Minneapolis Star Tribune. Minneapolis police faced intense pressure on Sunday after authorities admitted there was no footage of the incident.